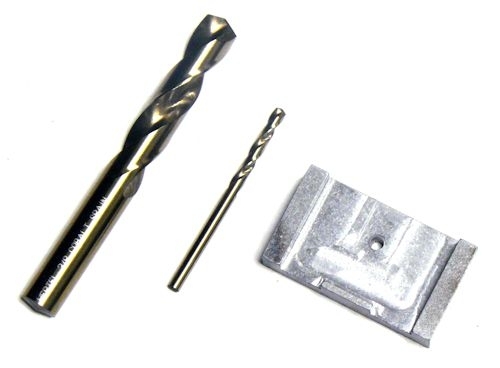 This kit includes a small pilot drill, larger buttstock hole drill, and drill guide / alignment device. It is used to precisely drill a hole in the rear of M85's, M92's, and Draco's. This will allow you to mount a CNC Warrior folding hinge system. The alignment device is machined from steel by CNC Warrior and heat treated. Builders can use the drill guide to drill small hole in precise location, then use the larger one to drill through the receiver back using the pilot hole to keep correct position. View the installation manual here. Click here for more PAP parts and accessories!